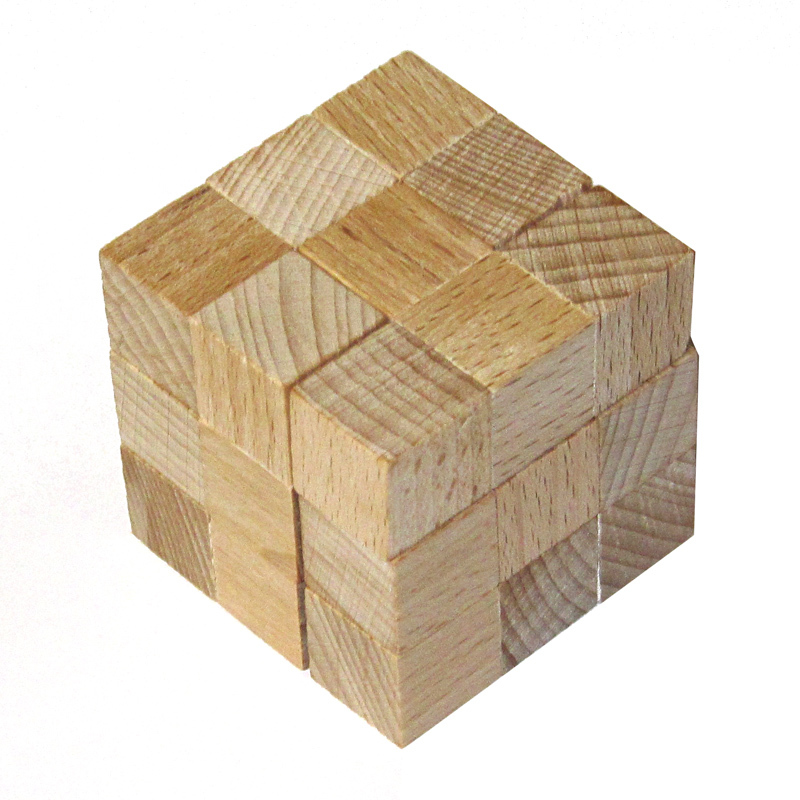 If you replace the A, B and P pieces of the Soma cube with the L piece, you get the L4 game. 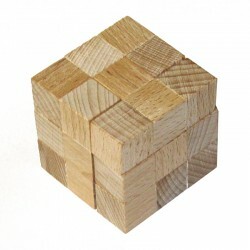 As with the Soma cube, you can use the L4 puzzle to assemble a cube and many other three-dimensional figures. 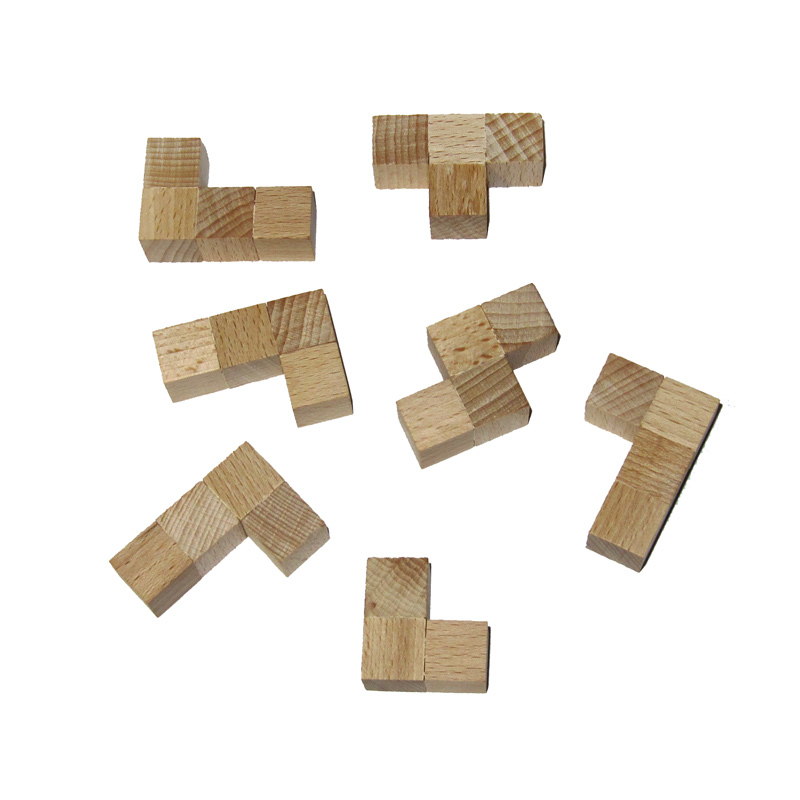 Since all game pieces are flat, you can also play it purely two-dimensionally. 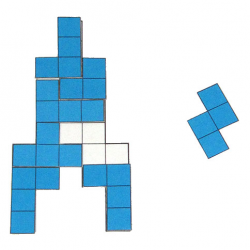 In this variant you can easily make a set of cardboard tiles yourself and the figures can be laid out on templates. I have provided some templates for handicrafts and figures for download. The template collection for the game pieces also contains a template in chessboard pattern. As with the Soma cube and the Pentomino puzzle, pieces with a chessboard pattern can be placed. The game pieces for the 3-dimensional version of the L4 game can also be made with chessboard patterns, e.g. by darkening wooden cubes with permanent markers. 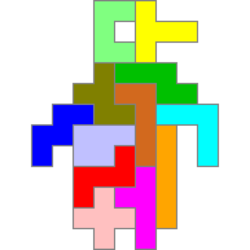 An overview of the figure templates can be found on the L4 figure overview page. A program with which you can create and solve figures, for all variants described here – two- and three-dimensional, with and without chessboard pattern – I have provided on the download page for solution programs.